"You should know that not all families are the same. I want you know that our family, though far from perfect, is just one of many types of families out there. But that in our family you are surrounded by love. And that love comes from all sorts of people in all different sorts of ways." And we recently discovered the most beautiful book that brings this message to life. 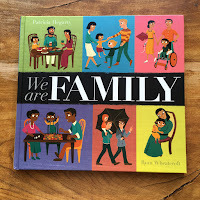 'We Are Family' by Patricia Hegarty with illustrations by Ryan Wheatcroft shares the stories of many families and their unique dynamics. 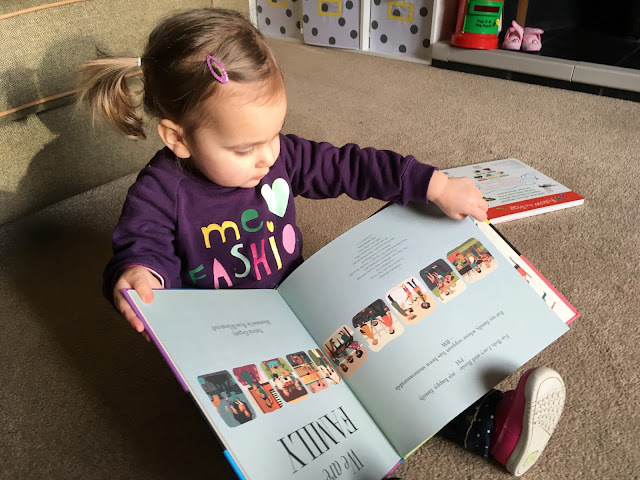 Featuring illustrations of families of all shapes, colours and sizes, 'We Are Family' shows the many different families that exist in our society. Not so much a story book, more an illustrated poem about love, family and diversity it is a beautiful reflection of modern society. Some of the lines will entrance the adults reading it, and send messages to children that will guide them for a lifetime. It follows a 'daily routine' from the morning rush, to the school run, through sickness and health, from holiday fun, to family tragedy, to bedtime. Each page (even the endpapers) shares and celebrates the similarities and differences of families. And what better way to end a bedtime story than with the lines: "After goodnight kisses, with our families all round, We drift off to dreamland, loved and safe and sound." The illustrations are equally as captivating and children will pour of the ten families, recognising the characters from page to page. From single parent families, gay parent families, black families, white families, asian families, mixed race families, disabled families - diversity is reflected in each image. Each family approach is different and each one is celebrated. 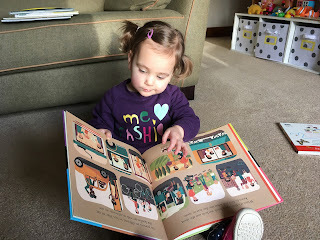 When we first got this book in the post, BookBairn admired the pages over and over, flipping through the vivid illustrations seeing the world, as it really is, around her. What more could we want for our children than to see reflected and celebrated the wonderfully diverse and beautiful world around us? Another message to my BookBairn - In our family, in our world, you are represented. You have a voice. You are not invisible. Nor is any child. You all must be represented. You all must have a voice. You all must be visible. Share your voice. Speak for others who cannot share their own voice. Share your love. *We Are Family is released in the UK on 9th February 2017. *DISCLAIMER* We were sent this copy of 'We Are Family' for review by the publisher. But as always the words and opinions are our own - and you can clearly tell we love this one! What a lovely book. The sentiments you express and the values you hold are shared by me. 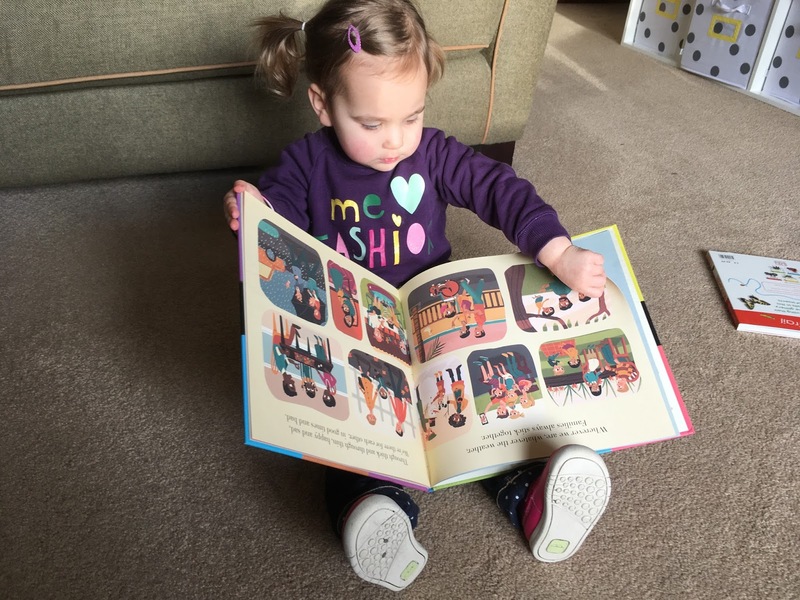 BookBairn will definitely grow up surrounded by family love. I think the sentiments are passed from one generation to another. I shared a post yesterday on social media that was about Little Girls with Dreams becoming Women with Vision saying "I love the men in my life who trust and believe in me as a human being, a person and see my strengths and love my weaknesses. You have taught me to be the woman I am today." And I'm glad BookBairn will have that too! Thank you! We loved this too and shared details of this book on our Instagram profile recently. 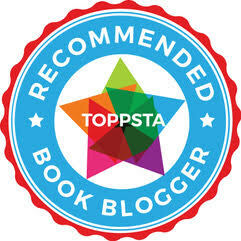 Really enjoyed your review and am an avid follower your blog posts. Do you mind if we share it on our blog? All links will be retained so that readers can link to your original post. Keep up the good work! I can't wait to read this with her. Loving families are so much more important than their physical characteristics - well said. I'll be asking the library stock selectors to pop this one on to their lists. This is an absolutely fabulous book and Ryan Wheatcroft's illustrations are amazing. This is definitely a book that should be in every school library. 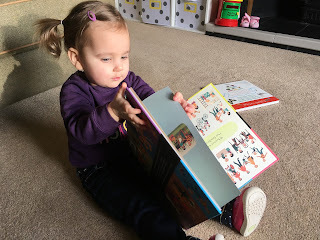 Your BookBairn looks entranced by We Are Family. We need more books like this; books that show all kinds of families. Have you seen this one by Mary Hoffman with illustrations by Ros Asquith? The Great Big Book of Families? 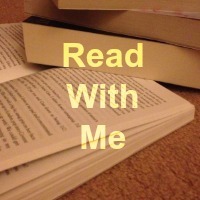 Along the same lines, I think: http://www.goodreads.com/book/show/9594175-the-great-big-book-of-families. Thank you for sharing - it does look like a similar theme! So important that our kids can see themselves and recognise their lives in books!